Understanding Wrongful Death Lawsuits: Who Can File Them and When? 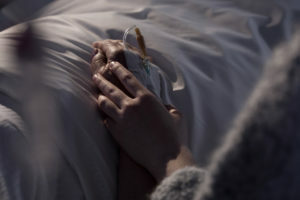 Home » Blog » Understanding Wrongful Death Lawsuits: Who Can File Them and When? Losing a loved one is one of the worst things a person can go through. When you lose someone due to another person acting negligently or recklessly, it can be even harder. While no amount of money will bring your loved one back or make things right, you may be able to recover damages so that you do not have to take an economic hit on top of everything else. To learn more about what a wrongful death lawsuit is and who can legally bring one, read on. Then contact Law Offices of Michael A. Kahn at (310) 209-1600 for a free legal consultation. Not all deaths are legally considered wrongful deaths. Deaths that are considered to be natural, or that are the result of a no-fault accident, do not meet the legal definition of wrongful death. An intention action, such as manslaughter or murder, would be considered a wrongful death. However, there are exceptions, such as when a person kills another person in self-defense. Negligent driving, such as speeding, running a red light, or driving while intoxicated, can lead to wrongful death cases. Medical malpractice, such as surgeon error or being improperly subscribed medication, can be wrongful death. Many work-related deaths are considered wrongful death – especially if a third party caused the death. In some cases, work-related deaths are covered by workers’ compensation laws that include specific coverage. A wrongful death claim can come from many different circumstances. Unlike a criminal case which is brought by the state, a wrongful death case is a civil lawsuit brought by the injured party’s loved one. In a criminal court of law, the prosecutor must prove beyond a reasonable doubt that the defendant was guilty. In a civil lawsuit, your attorney need to prove that there is a preponderance of evidence to rule in your favor. To bring a wrongful death case, you may be able to prove that someone died, that their death was the result of another person either acting negligently or purposefully to cause harm, and that the surviving family members were financial harmed by the death. It is not enough to simply have been close to or loved a person to file a wrongful death lawsuit on their behalf. In California, the general rule of thumb is that whoever would be able to inherit from the deceased if there wasn’t a will, or their personal representatives of the estate, can file a wrongful death lawsuit. This includes the children and spouse of the deceased. It would only include the parents of the deceased if they counted on their child for support. Other relationships may be covered as well if the party who wishes to file was being supported by the victim. If you believe that you have grounds to file a wrongful death lawsuit the new hope you will contact Law Offices of Michael A. Kahn at (310) 209-1600 for a free legal consultation.